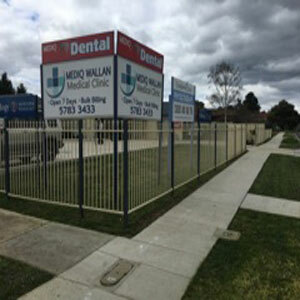 We are an accredited Family Medical Practice located in Wallan Victoria. 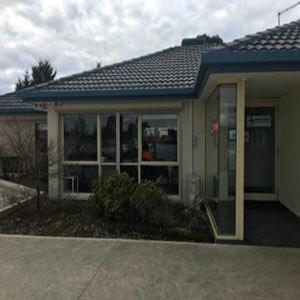 Our clinic was established in 2003 as the first bulk-billing Medical practice in Wallan with only a small team of staff. Since then we have relocated to a new premises, expanded our team of Doctors and allied health staff, extended our operating hours and broadened our service to meet the growing needs of our community. Our experienced doctors enjoy the full scope of General Practice and are committed to providing quality care for the whole family. We also have a friendly and experienced Practice Nurse that that assists the doctors in promoting patient wellbeing through patient education, preventative health measures and proactive management of chronic diseases. We also have a team of allied health professionals to help meet the varied health care needs of our patients. Services include: Pathology collection, Dentist, Mental health/counselling service, Podiatrist, Dietician, Diabetic Educator. 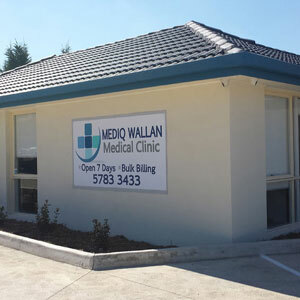 The doctors and staff at Mediq Wallan are committed to providing the highest standard of medical care in a courteous and friendly setting. We are open 7 days a week and offer extended hours to 7pm on weekdays. 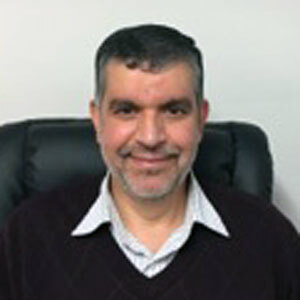 Dr Selim Shubbar is our Practice Principle and has been working at our clinic for over 12 years. 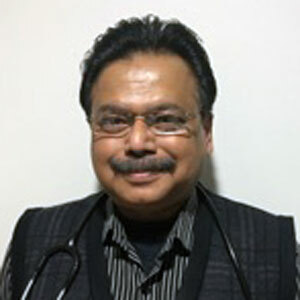 His Medical career dates back to 1986 when he obtained his Medical degree. Following that, he worked for many years in the hospital setting until he chose General Practice as his specialty. 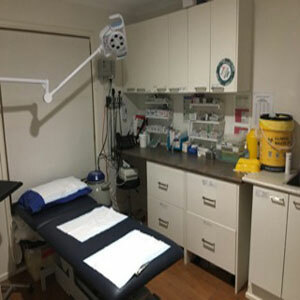 Dr Shubbar has been a Fellow of the Royal Australian College of General Practitioners since 2004. He also holds a Certificate in Skin Cancer Management and a Diploma in Dermoscopy. His interests in the field of General Practice include pediatrics, men's health, chronic disease management, dermatology and mental health. Outside of his medical practice he has a special interest in gardening and enjoys walking and keeping fit. Dr AlMarashi joined us in 2015, initially on a part-time basis. 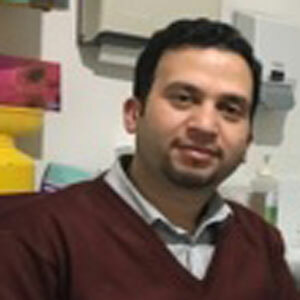 He is now with us full time and is currently training to obtain his Fellowship in General Practice. Prior to this, Dr AlMarashi worked for several years in adult medicine in tertiary hospitals. Dr AlMarashi is thoroughly enjoying working in family medicine and he enjoys caring for his patients in all aspects of their healthcare needs. He has a special interest in chronic diseases, especially liver disease. In his spare time, he enjoys reading, squash and nature drives. Dr Matin joined us in November 2016 after many years experience in a variety of settings, including Emergency Departments, Community health clinics and After-hours Services. 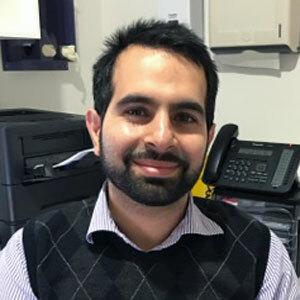 He enjoys the variety and community engagement involved in General Practice and is keen to provide his patients with the best possible outcomes. Dr Hamna Khan joined our team in February 2018. 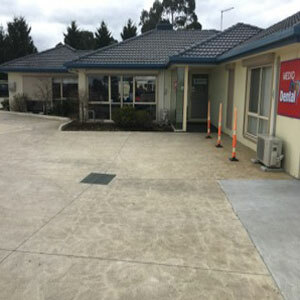 Prior to this role, she was working as a GP in Avoca, Victoria. She enjoys all aspects of family medicine, and has special interests in Women's health, kid's health, and mental health. Her hobbies include cooking and travelling. Dr Khaleel joined us in February 2017 on a full time basis to pursue his keen interest in family medicine. He is currently training towards a Fellowship in General Practice. Dr Khaleel is enjoying getting to know the community and caring for their needs in all aspects of family medicine. Dr Zia joined us at the start of 2014 and has since been working on a full time capacity. 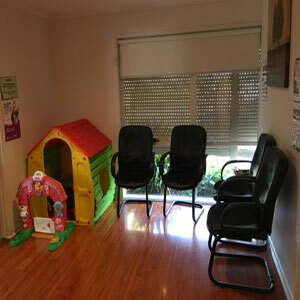 She enjoys all aspects of General Practice and has a special interest in Women and childrens health, pregnancy care, mental health, dermatology, skin checks and minor procedures. 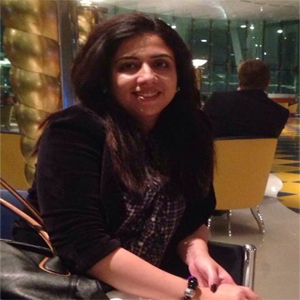 Dr Zia is accredited in antenatal shared care through the Northern Hospital, Womens Hospital and the Mercy Hospital. Dr Zia holds a Certificate in Skin Cancer Management and a Diploma in Dermoscopy. She is also accredited with the Skin Cancer College Australasia as a Skin Cancer Doctor. Her hobbies include reading, travelling and cooking. Check-ups, Children's "National Immunization" Schedule Vaccinations, family planning, pap smears, pregnancy tests, counseling, vaccinations, minor surgery: stitching cuts, removal of moles and sunspots, liquid nitrogen freezing therapy for sunspots and warts, nutritional advice, industrial medicine advice and consultation, skin checks and health assessments, chronic disease management and care plans, Home visits. Allied Health services: We have on site: Dental, Dietitian & Podiatry, Mental health/counseling. 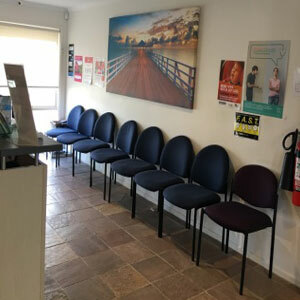 Please ring (03) 5783 3433 to book an appointment. Every effort will be made to accommodate your preferred time. Emergencies will always be given priority and our reception staff will attempt to contact you if there is an unforeseen delay or our GP has been called away. Longer consultation times are available, you will need to discuss with your GP at your next consultation if you require a longer appointment so your doctor can organize their schedule to accommodate this requirement. If you or a family member requires an interpreter service, we can organize this for you. Please let us know this need when you make your appointment. Home visits can be arranged for our regular patients whose condition prevents them from attending the surgery. A suitable time can be arranged and will confirmed with you by the receptionist. Please use the telephone number for all appointment related enquiries or bookings. GPs in the practice may also be contacted during normal surgery hours. If the GP is with a patient, a message will be taken and you will be advised by the reception staff when it is likely that the GP will return your call. Your call will always be put through to a GP in an emergency. You may also contact us using the email address provided. However we ask that you only use the email for non- urgent matters as the email may not be checked on a daily basis. We may send you appointment reminders or recalls using sms. We do not send out private or confidential information to patients via sms, email or fax as the security of your personal information cannot be guaranteed. You can request a copy of our electronic communication policy if you require further information. Please follow up on any tests you had done by booking an appointment with your doctor. We may phone you or send you a recall letter or sms if the doctor needs to discuss some results with you. However results will not be given over the phone due to confidentiality issues and risk of error. We are a Bulk Billing Practice so your Medicare card is used to directly bill Medicare Australia the fee for the service provided to you. You will need to provide us with your current Medicare Card (So please check your cards valid to date- any problems call Medicare on 132011) without a Medicare card a "Cash Only" account will be PAYABLE at time of consultation. There are certain items that are not covered by Medicare for which a cash account will need to be paid on the day of the consultation and these will be discussed with you in more detail if they apply to you. 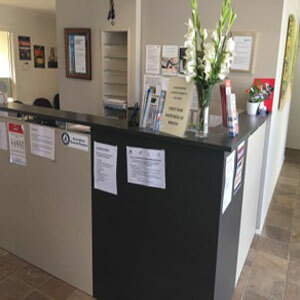 These includes: new workers compensation claims, medical screens/forms for employment, insurance, superannuation and license applications and medical procedures. Please inform reception if you are booking for any of the above so you can be informed of the charges involved. treatment, and manage our medical practice. This information may include your name, address, date of birth, gender, health information, family history, Medicare card and contact details. This information may be stored on our computer medical records system. Wherever practicable we will only collect information from you personally. However, we may also need to collect information from other sources such as treating specialists, radiologists, pathologists, hospitals and other health care providers. may be collected by medical and non-medical staff. In emergency situations we may also need to collect information from your relatives or friends. We may be required by law to retain medical records for certain periods of time depending on your age at the time we provide services. We will treat your personal information as strictly private and confidential. We will only use or disclose it for purposes directly related to your care and treatment, or in ways that you would reasonably expect that we may use it for your ongoing care and treatment. For example, the disclosure of blood test results to your specialist or requests for x-rays. There are circumstances where we may be permitted or required by law to disclose your personal information to third parties.For example, to Medicare, Police, insurers, solicitors, government regulatory bodies, tribunals, courts of law, hospitals, or debt collection agents. We may also from time to time provide statistical data to third parties for research purposes and this will be de-identified. behalf, such as an IT service provider, solicitor or debt collection agent. We impose security and confidentiality requirements on how they handle your personal information. Outside contractors are required not to use information about you for any purpose except for those activities we have asked them to perform. We will take reasonable steps to ensure that your personal information is accurate, compete, up to date and relevant. For this purpose our staff may ask you to confirm that your contact details are correct when you attend a consultation. We request that you let us know if any of the information we hold about you is incorrect or out of date. If you believe that the information we have about you is not accurate, complete or up-to-date, we ask that you contact us in writing (see details below). You are entitled to request access to your medical records. We request that you put your request in writing and we will respond to it within a reasonable time. There may be a fee for the administrative costs of retrieving and providing you with copies of your medical records. If you are dissatisfied with our handling of a complaint or the outcome you may contact the to the Australian Information Commissioner https://www.oaic.gov.au/ or the Privacy Commissioner in your State or Territory. We will not transfer your personal information to an overseas recipient unless we have your consent or we are required to do so by law.